The Union Pacific Railroad Dallas Mesquite consists of three capital improvement projects located along the Mineola Subdivision between MP 198.18 and MP 212.86. Improvements include a 14.6 mile double track capacity improvement adding a second main line to the corridor, a 1.9 mile siding extension servicing the Mesquite Auto Yard Facility, and the expansion and rehab of the Mesquite Support Yard providing storage for the Auto Yard Facility. 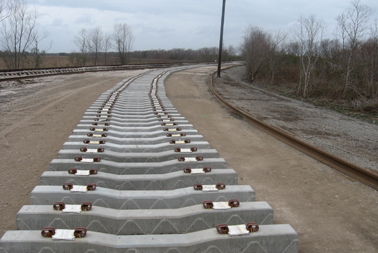 The MULTATECH design includes the track and roadbed improvements, ROW determination, track drainage design, retaining wall design, and the coordination and design of over 10 road crossings and road closures. As part of our services, MULTATECH subcontracted survey and geotechnical testing and design.